Examining myself while undergoing the shugyo of Daito Ryu, I reflect on Kodo Horikawa, shihan and eternal master (eisei meijin) and ask: What is the transmission of the aiki tradition? 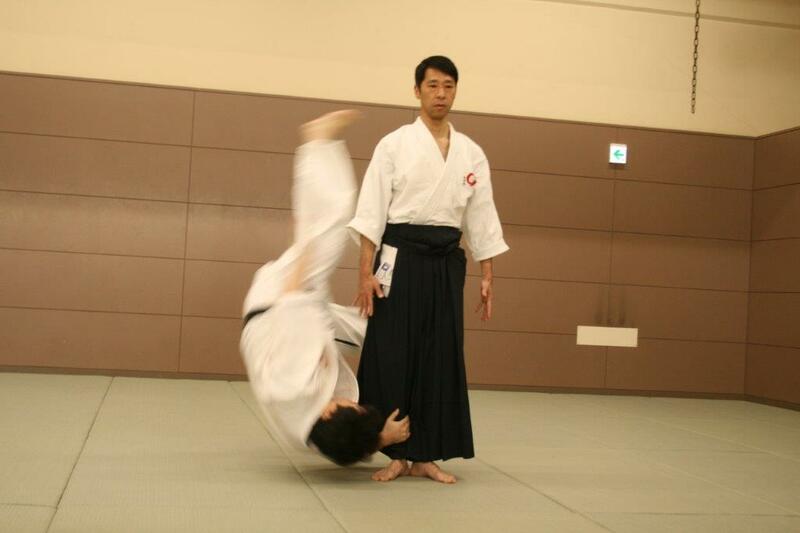 There are many groups (kaiha) around the world who talk about Aiki. But not many people can demonstrate it. Iida Sensei is one of the few who can. But why is this? And why are there so many who can’t use Aiki? To understand the answer, we need to understand the difference between Muden Juku practice methodology (Ryu gi) and others. 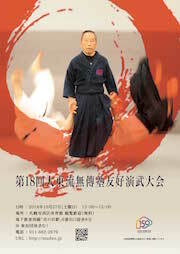 This means thinking deeply about Sensei’s words and how his technique and teaching emerged from his background. You must feel, listen and consider all of this. Usually, people only evaluate something according to their own experience and level of knowledge, but in Muden Juku practice, you must always ask: “Why does sensei say that? Why is he teaching in that manner, and how is it different to my understanding?” If I cannot get a clear answer for these questions immediately, I adhere faithfully to sensei’s teaching method and style of practice. I trust this teaching until such a time as that I am able to grasp the teaching with my body and mind. This is difficult, but it is the only way to understand sensei’s mind, or to grasp his kokoro. And this is the also the quickest way to understand Aiki. Iida sensei’s model was Kodo Horikawa sensei, both in his techniques and his philosophy. 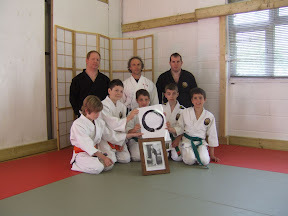 Iida Sensei examined himself objectively during harsh training environment at the kodokai (the name of the daito Ryu group established by Horikawa) for a long time. He endured shugyo with modesty and always tried to adhere to the essence of what was Horikawa’s technique and philosophy. Also, he never allowed himself to add his ego to the techniques or tried to invent his own “style” of doing the techniques. 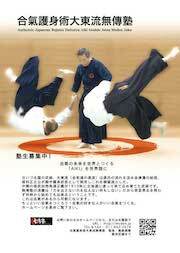 This is why, through his extraordinary efforts, Iida Sensei managed to develop a phenomenal level of Aiki that has become his way of life. If Sensei only mimicked Kodo’s techniques, he would not have been able to grasp the essence of Aiki. Iida Sensei is still practicing after over half a century of practice. Iida sensei’s saying about this is one must “win through losing”. This does not mean to give up and accept defeat. Its true meaning is: even if you can’t do it now, believe in yourself, don’t lie to yourself, and trust in the practice method and strive to understand the essence of Aiki. Even if others sneer at your practice or have no idea of what Aiki is, just do the practice (keiko) over and over. This is the secret of the constant development of Sensei’s Aiki. Most people have their own opinions about martial arts (Bujutsu/Budo); that they should look graceful or be practical and dynamic. I have some experience of Budo myself, and I understand that it is easy to make my practice suit the demands of my ego, such as making me strong, to hate losing, also to gain a reputation and be respected by others. This kind of thinking also affects one’s attitude about the future, making one afraid of making a mistake, or making the wrong decision. One’s mind becomes a calculating mind weighing up profit and loss. But nothing is certain, so this also creates feelings such as frustration, confusion and fear. If you are in this mindset, you cannot see the essence of Aiki. This is very important. If you just hanker after Horikawa and Iida Sensei’s techniques, and add your own ego’s understanding to the techniques, you will never understand their kokoro. You would then develop along a completely different line. Following that line, you will never develop Aiki, no matter how hard, or for how long you practice. Tradition is not embodied in a name, a grade or a certificate. I know many people who thought “I’ve got Aiki”, when they received a grade or a menjo (certificate). They didn’t realise that they had not received the Kokoro. 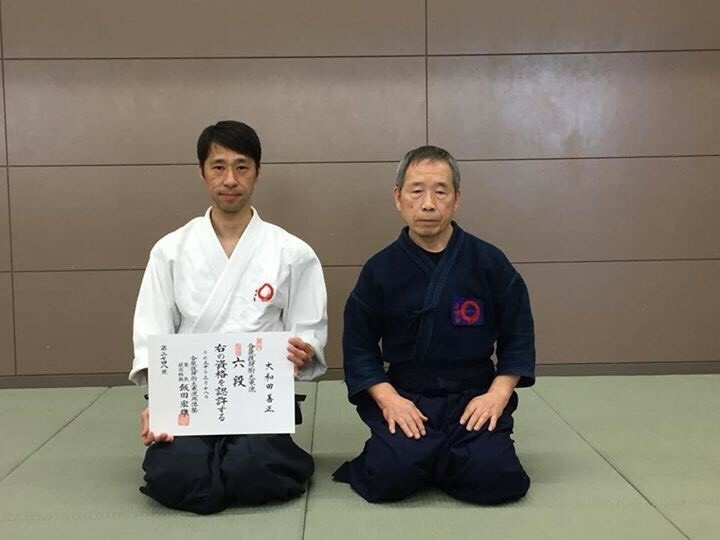 Iida sensei has kept the style (Ryu gi). 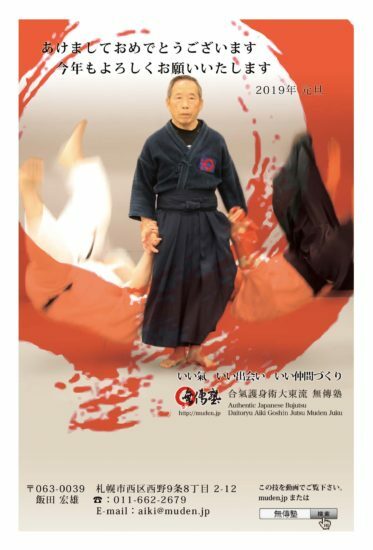 In this practice you can receive both the techniques and the essence of Kokoro. In order to do this practice, I have prepared myself to fulfil my responsibilities for receiving the transmission in releasing all negative thoughts of the past and all worries about the future. This way, I can live in the ‘now’ and concentrate on the practice of both mind and body that constitute and develop Aiki. I appreciate that I must learn both the spirit and the techniques from the lineage of Horikawa to Iida, and I will keep learning this proudly and modestly.